Tupac Shakur, also known as: Tupac, 2pac, Pac, and Makaveli, was pronounced dead on September 13, 1996 after he had taken four shots to the body on September 7, 1996 in a drive-by shooting. He was only 25 years old when he passed and left behind his songs which shed light into the struggles he faced being a black kid living in poverty without a father. Tupac’s murderer is suspected to be Orlando Anderson, who got into a scuffle with Shakur earlier on the night of his shooting, but there is no certainty that it was Orlando because a few months after Tupac’s death Orlando was shot. 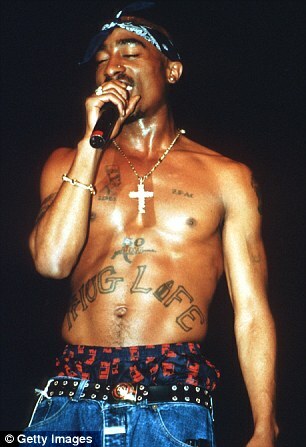 Although there is reason to believe that Anderson had the motive to kill Shakur, many other suspects come to mind including: Biggie Smalls, former friend turned rival of Tupac; Suge Knight, manager of Death Row Records and driver of the vehicle in which Tupac was shot; and Orlando, a member of the Crips gang which was rival of the gang involving Tupac. Though there are several reasons to believe that Tupac said goodbye to the world on that Friday in 1996, there are several theories pointing to the fact that 2Pac may have faked his own death. First, the night of his death was the same night of a Mike Tyson fight in Las Vegas. It would be assumed to be a pretty busy night with traffic at the time of the murder, which would make it almost impossible for anyone to get away with murder when fleeing in a car. 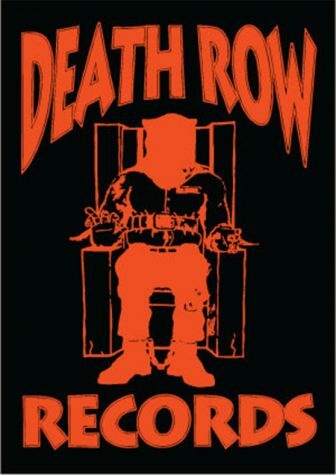 Also Tupac was riding in the passenger seat of Suge Knight’s car when the attackers fired 14 bullets into the car hitting Tupac in the chest twice, the thigh once, and the arm once. Suge, who was a former football player and rather large guy suffered no injury except for a small scrape on his head from a stray bullet. What happened to the other 10 bullets that were fired, where did they go? This mystery may open up the thought that Tupac is still alive. 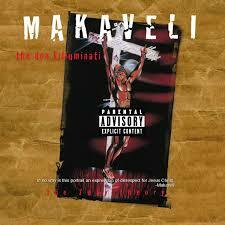 under the name Makaveli. Tupac had a known interest Niccoló Machiavelli, the Italian political scientist, who wrote about faking his own death. Also Tupac’s spelling of “Makaveli” if rearranged spells out “I AM ALIVE K” which could be coincidental but seems unlikely with all of the other odd facts of Pac’s death. The album cover also features a illustration depicting Tupac hanging from a cross resembling Jesus Christ, who also resurrected from the dead. In another song Tupac was featured in with Richie Rich he raps about how he was shot and murdered and he can’t tell us word for word how it went down. This adds to the disbelief that Tupac has died. Another theory that is quite compelling would be the “Sneaker Theory”, the theory exposes that in two of the rap artist’s music videos he is wearing shoes that had not yet been released until after he died. In the video for the song To Live & Die in L.A. Shakur is shown to be wearing the latest Air Jordans and in his video for the song Toss it Up he is revealed to have the Penny Hardaway shoes on his feet which again were not released until after his death. Lastly, Tupac’s sudden cremation opens the eyes to many for the staging of his death. Suge Knight claims that he paid someone $3 million dollars to cremate the body of Tupac only one short day after he was pronounced dead and the man retired immediately after preforming the cremation of Pac’s body. Tupac’s public funeral was also canceled in both Atlanta and Los Angeles and he was only identified by his now dead mother Afeni after his death. Personally, I am a firm believer that Tupac Shakur has in fact faked his own death and is still alive somewhere, simply because there are too many artifcacts hinting at the fact that the rapper is still breathing. Will Tupac ever reemerge from hiding and join the world once more and live on as one of rap’s biggest icons… only time will tell. As for now only the Lord knows the superstar’s whereabouts.